Mr. Kathiravelu Sritharan (11th April, 2019) Very easy to deal with. Keep up the good work. Mr. Ravdeep Singh Jaggi (10th April, 2019) Always good experience, will recommend to friends. Mr. Samarth Patel (9th April, 2019) Consultant handle really well and provide wide range of option to choose from. Mrs. Seema Marwah (3rd April, 2019) Very Good Service, so I am a regular customer. Mr. Rajesh Reddy Tamma (2nd April, 2019) Been using Best and less services from quite a few years. Always get the best deals than any one else in the market. Please keep on doing the same and Thank you. Mr. Anirban Sarkar (31st March, 2019) Keep up the good work of sending the itinerary in the first instance. This is a very good option and is extremely helpful. Mr. Shirley Wanaguru (28th March, 2019) One of the best on line airline reservation software that I have ever used. Actually, I would say the best, user friendly, easy to follow with travel bookings. At my old age, I managed it all on line. Well done Best & Less team. Mr. Sundaresan Venkitachala (25th March, 2019) Have been using their services for many years across the desk at Parramatta. Mr. Mohan Narasimhachar (24th March, 2019) I have been interacting with Best and Less for the past 20 years, and its always the best price. This time too i got a very good deal and the process of booking my ticket was seamless. I didnt have to go to their store even to make payments. Mr. Divyesh (20th March, 2019) Really good service and best price in the market. Really happy with Best & Less. Mr. Kamaljit Singh (19th March, 2019) Excellent service and consultants are very friendly. This is our second time with Best and Less with excellent service. Will always book my flights with them. Mr. Ameya Vilas Shirodkar (18th March, 2019) I have been booking with Best and Less since 2011. I am happy with their service level. Mr. Abhijit Vidyadhar Bedekar (16th March, 2019) Reliable, prompt ,courteous service, and offers best prices for ticket availability. They updated us best fares and options in real time. Mrs. Gloria Mary Agnes Dsouza (11th March, 2019) Good service, reliable, friendly staff, and great deals to travel all over the world. Everything can be done over the phone, but sometimes i miss that face to face contact though. Store is also very convenient and centrally located. Mr. Syed Ali Mustafa (7th March, 2019) Good Job. Keep delivering consistently good service. Mr. Rajesh Maruvada (7th March, 2019) Excellent consumer experience. Consultants really understood what I want. Mr. Ishret Ispahany (6th March, 2019) Great experience overall. Thank you for such a smooth process. Mr. Thayatharan (2nd March, 2019) Service was excellent. Consultant were very friendly and very helpful. Mr. Chetan (27th February, 2019) Great Deal and very convenient, with cooperative friendly staff. Mr. Sharat Chandra Garlapati (19th February, 2019) Consultants are friendly and professional. Excellent Service. Highly Recommended. Mr. Ashaf Ud Doula (19th February, 2019) I always buy ticket from here. Some reason, i feel they are trustworthy. I know i will get a very reasonable price than other inconstant travel agency. "Keep it up". Mr. Satheesh Meenakshi Sundaram (16th February, 2019) Really good service and customer care. Mr. Narinder Paul (14th February, 2019) All good and will deal in future as well. Mrs. Corinne Van Ross (12th February, 2019) All Good. The reason, we are regular customers. Mr. Prakash Subramaniam (10th February, 2019) My work usually takes care of all my travel. This time, I found consultants very helpful and patient and went through every aspect meticulously with care. 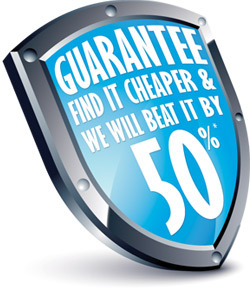 While good pricing may be one aspect it is excellent customer service that is undeniably your draw card. Not less you are the best. Mr. Tanveer Ahmad (9th February, 2019) I am buying my airline tickets from Best & Less Travel since more than 15 years. I found Best & Less Travel is very reliable, efficient, helpful and mostly cheaper than other travel agencies. Mr. Ram Chander Dhingra (9th February, 2019) Good service. We have been using your service for a long time. Mr. Richard John Gonsalves (8th February, 2019) You are very quick on answering questions, so we always do our bookings with you. Mr. Panawalage Mohan Jos Perera (7th February, 2019) I have been booking with you for many years and enjoy travelling. Here excellent reservation service is provided along with quick response. Mr. Satya Murthy Manthri (6th February, 2019) I knew Best & Less since a very long time. Till now, many companies came as travel agents. But no one can beat you man. I just love your service. Keep it up. Ms. Lakshmy Krishnakumar (31st January, 2019) It is all good and your customer service is excellent. Mrs. Rosy Josephine Dorairaj (25th January, 2019) I will surely recommend for my friends and relatives. Mr. Shamsher Singh (24th January, 2019) I just wanted to share how much I enjoy dealing with Best and Less. 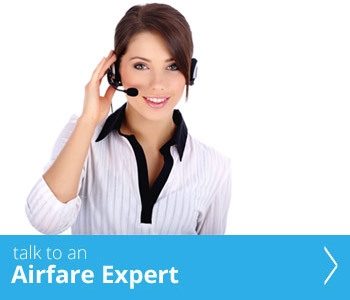 You have great people working to make business travel as painless as possible. Your consulatnts are brilliant, customer focused, cheerful and always willing to help find the best travel options. They have great follow up and always are armed with a “how might we” attitude. Mr. Pradeep (21st January, 2019) Good Service. Will recommend to my friends. Mrs. Jayasheela Andanayya Vastrad (20th January, 2019) Super service with quality. Mr. Dhaval Mehta (19th January, 2019) Reasonable price according to passenger satisfaction. Mr. Harpreet Singh (18th January, 2019) Booked multiple times with Best and less, this is another one. Excellent customer Service and price beat capabilities. Mr. Akash (18th January, 2019) Keep doing great work. Thanks. Mrs. Nirali Rathod (12th January, 2019) Keep as it is 'Always Best'. Mr. Pradeep (11th January, 2019) Service rep. was excellent and gave me option with cheapest travel. Thank you Best & Less for finding me a good deal with my travel. I will contact again for future bookings. Mr. Mostaqul Shams (10th January, 2019) It's been a pleasure and an awesome experience. Mrs. Meena Chumber (10th January, 2019) I have been booking my tickets with best&less since last 10 years. Their service is great, thats why i always book my tickets with them. Thanks for your service. Mr. Mineshkumar Rasikrai Acharya (10th January, 2019) As always your service is the best, professional, excellent customer support and very friendly. Mr. Sudarshan Rayamajhi Chhetri (9th January, 2019) Keep selling reasonable air fare. Mr. Mitsu Manharbhai Patel (9th January, 2019) Excellent service and great communication. I would like to recommend to my friends and family members. Thank you. Mr. Gayatri Seth (7th January, 2019) Your team has great dedication and lovely follow up skills. They really take it nicely and understand the customer requirements. Mr. Varinder (4th January, 2019) Keep up the good work. Mrs. Nalini Kumar (1st January, 2019) Very helpfull and good fares. Mr. Sanjay Sood (30th December, 2018) My family has been purchasing tickets for the last 12 years with them, very professional. Mr. Sanjay Sood (29th December, 2018) Very Friendly staff and always compete the prices. Mrs. Devika Prasad (28th December, 2018) Best & Less is the best. Dr. Samantala Hettihewa (24th December , 2018) I am very happy about the way the consultant treated me when I had to find a ticket to go to Sri Lanka to attend my mother's funeral. Within three hours time everything was organised. Thanks to them, I was able to pay my last respect to my mother. I will recommend them to all my friends and continue to work with Best and Less Travel. Mr. Harsha Kumar Ramagowda (21st December, 2018) Always reliable. Friendly consultants and cheaper price. Mr. Parvathan Vijayakumar (20th December, 2018) Best and less travels is best ticket booking company, and they also provide cheap prices. Ms. Sonia Issar (20th December, 2018) Happy with services and will always recommend. Mr. Venkatesh Sundaramoorthy (18th December, 2018) Great Service. Keep up your great service. Mr. Sudheer (13th December, 2018) Best & Less staff provides excellent services and are very helpful. Mr. Kaushal Patel (12th December, 2018) Keep up the best work. Keep going. Ms. Vijaya Jayanti (12th December, 2018) Good service and excellent staff. Mr. Shashank (8th December, 2018) Easy to deal with these guys. Mrs. Sirigampola Gunawardhana (8th December, 2018) Best & Less provides excellent job. During my three year tenure in the Consulate General of Sri Lanka in Sydney I have booked all my trips to Sri Lanka from Best & Less. Now at my last trip, to New Zealand I got their service during week end. I am so much happy with their work and service, that is excellent. Mr. Renuka Prasad Karlapur Sreenivasiah (7th December, 2018) I have been booking with Best and less for nearly 10 years. I have not booked with anyone else since then. Good customer service and fair price. Cheers. Mr. Edman Anthony (6th December, 2018) I just tried them for the first time, to test. Turned out good. Mr. Supern (5th December, 2018) Better price offered than competitors. Mr. Khalid (2nd December, 2018) Awesome customer service and cheapest air fare. Mr. Shailendra H Kurtikar (2nd December, 2018) Service you provide is superb.